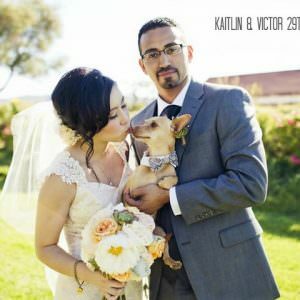 One of the first things I wanted to talk about was catering, it’s such a BIG part of the wedding day that I thought it needed an expert to tell you about it. 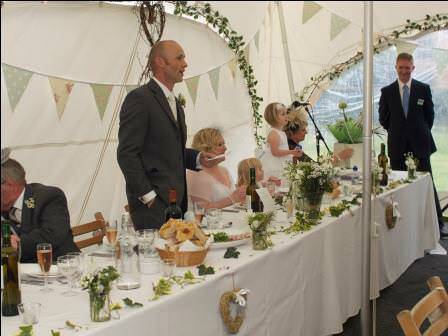 I asked my friend Blanche from CoCo Catering (who I can personally recomend after working with her) if she could put together some thoughts on the subject of hiring an outside caterer, so you the reader and forthcoming bride and groom, would know what questions to ask, what to look out for….basically everything you need to know! You want your wedding day to be fabulous, and so the food you provide for your guests has to be wonderful. Planning at an early stage will make sure it is. Think first about how much you want your outside caterer to be involved with the coordination of your day. Caterers can assist with more than just food. If your venue doesn’t have an in house catering team, then it probably won’t provide any kind of wedding planning service as part of their package. Services included in caterer’s prices can really vary. 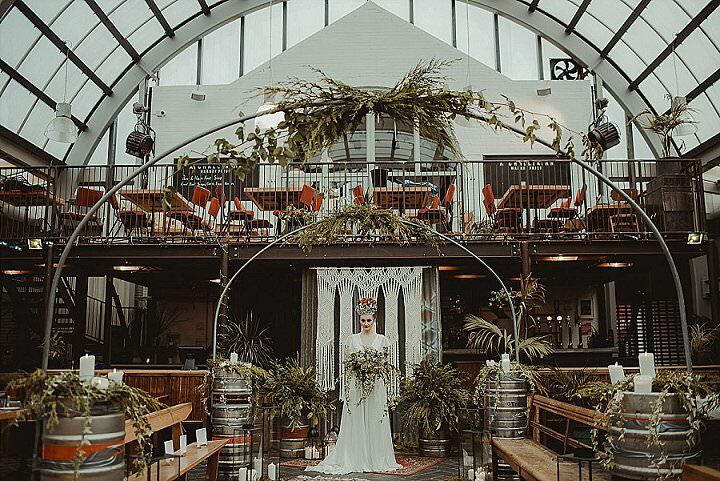 With some you are simply paying for the food and others will include waiting staff, drinks service, crockery, cutlery and glassware, linen hire and on-the-day coordination. Once you have decided the service you would like, start collecting brochures from local caterers and see what is included in their pricing. 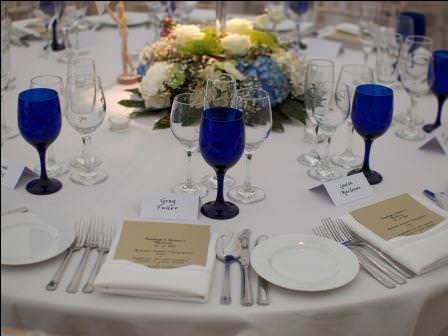 Most caterers can arrange crockery, linen, cutlery and glassware hire if they don’t provide this equipment in their pricing. 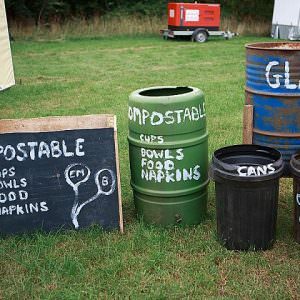 Decide if you definitely want these items or make a big saving by having disposables. If you have splashed out on a designer wedding cake make sure your guests actually get to eat it. 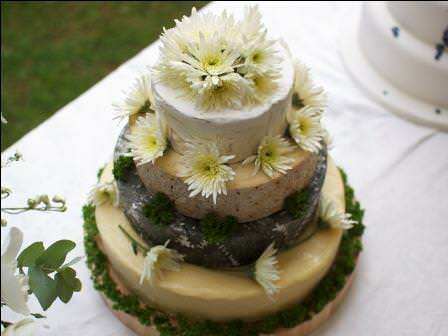 Arrange for the caterer to cut and serve the cake so everyone can have their cake and eat it! I have catered at a few weddings where the cake has only been admired and it’s a lot of cake to eat if you have to take it home. 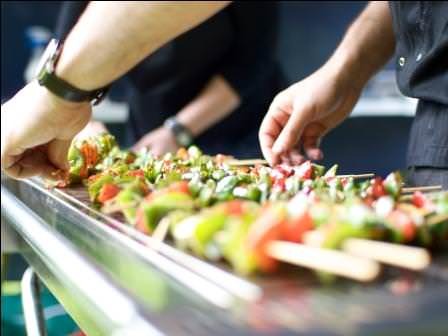 The total costs for outside catering can vary a huge amount. You can spend anywhere between £1000 to £6000 depending on your guest numbers, food requirements, level of service. 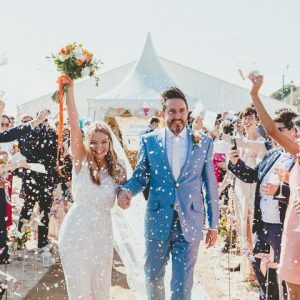 As with all things wedding related, fewer guests means lower costs so decide whether you want everyone you’ve ever met or a intimate gathering. The perfect wedding menu should complement the venue, the theme and the bride and groom’s tastes, style, travels, culture and heritage. I believe wedding food should be fun, delicious, beautiful, seasonal, fresh, special and bountiful. Do you want a formal three course meal? Are canapés a must have? 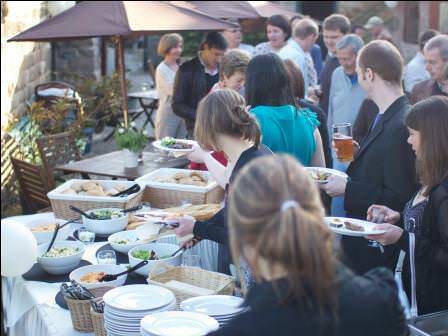 Do you want your wedding to have more of a party feel with a BBQ or buffet? What drinks would you like to provide for your guests? Will you need food in the evening to keep your guests well fed while they party the night away? Once you havethought about the style of food and drink you would like, be creative about your menu and try not to play it too safe. Your caterer will be able to offer suggestions but it’s good to be prepared with a few of your own ideas. 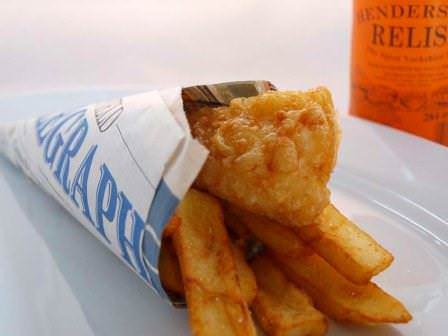 We’ve had clients asking for Italian feasts, family style BBQs, pie suppers, mini fish ‘n’ chips and vintage afternoon teas. One couple asked us to use potatoes grown on a green-fingered relative’s allotment. If you are having a farm wedding, ask your caterer to use produce from the farm, and you could have roast beef that has been bred in the field you are sitting in. Having a signature drink such as mojitos, Bellinis, iced tea or homemade lemonade is also a great way of using food and drink to complement the style and feel of your day. A couple who didn’t like sparkling wine decided the have a selection of real ales for the toast during the speeches; making simple changes to traditions really personalises the day. When you first meet with a caterer, talk to them about how you would like the feel of the day to be, the style of food you would like and try to give the caterer a rough idea of what times you would like food and drink to be served. The more information you can offer at this stage the easier it will be for the caterer provide a detailed and accurate quote. 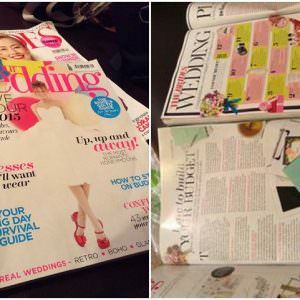 Listen to the caterer’s ideas, talk to them about weddings they have done before. Get an idea of what style the caterer has so you can decide if they are the right caterer for your day. 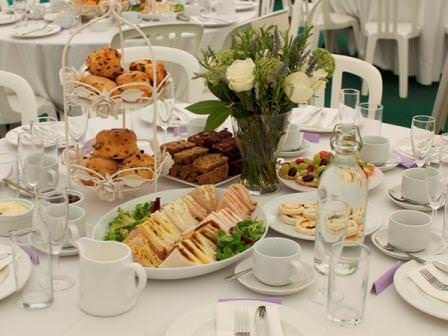 If the caterer has provided service at your venue before they can offer a great deal of advice around what does, and doesn’t, work at the venue. 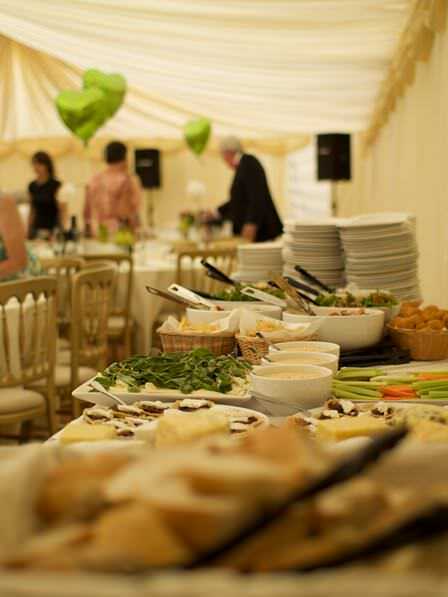 Following on from your initial meeting you should receive quotes from the caterers you have met with. My advice is to read through these carefully, not just choosing the cheapest or the most expensive because you feel they will be the best. Look for the caterer who has carefully listened to your requirements and decide who will be able to complement the feel and style of your day. Enjoy the food and drink! The big day can go very quickly and there are so many people to catch up with and so much going on that often couples find it difficult to get a chance to eat! 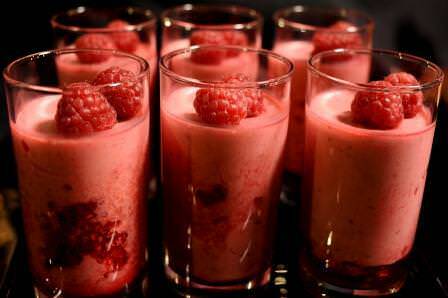 You’ve spent months planning menus and deciding what drinks to have to complement your day so make sure you take some time to experience all the food and drink your guests are enjoying. Thank you so much to Blanche for all these tips and advice about catering, I hope you found it useful? I will be working with CoCo Catering on several weddings this year and I’m really looking forward to it! Coco Catering was set up by head chef Richard Spataro and event manager Blanche Duggleby. Blanche and Richard decided to use their passion for food and events to start Coco Catering. 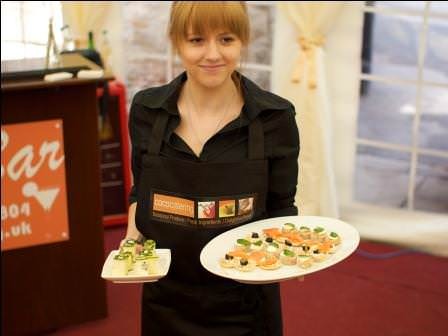 They are an exciting independent catering company based in Sheffield and are an ideal choice for private and corporate events. We cater for weddings, parties, family occasions, dinner parties, drinks receptions, special events, corporate events and business meetings. 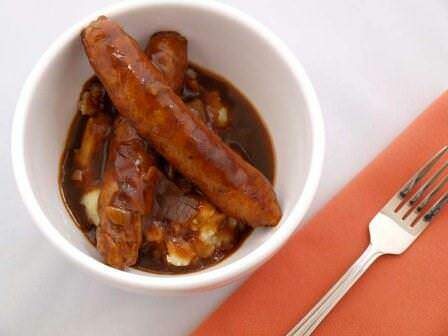 Experienced in British and European cuisine, Coco Catering take pride in producing excellent quality homemade food with fresh, local and seasonal ingredients. Offering fork buffets, finger buffets, canapés, BBQs, wedding breakfasts and hot suppers in your home or at your chosen venue. They pride themselves on offering a personal and flexible service and offering quality homemade food and attention to detail on every event. 0114 283 5804 or 07505 648 160. When it comes to catering people you don’t have to stick with the traditions. You want people to walk away from the wedding remembering it for a very long time afterwards so go for something different. I went to a wedding not long ago and they had a barbeuce, great touch as it was such a lovely day. I have heard of couples having pizza receptions.. another yummy idea! Really good post. We are using beef from my Dad’s farm and we are having the reception in a marquee on the farm. I think it’s really difficult to estimate the cost of catering, we had some ridiculous quotes (talking £12k for 120 guests!). The only thing is when having outside caterers you have to pay for EVERYTHING including ovens down to the cake knife! PS Corkage charges in venues are ridiculous. I refused to pay any corkage charge for what would essentially be serving wine that I had bought in my own back garden. Not a chance that I would pay corkage on that! Nice Post….Useful Information. This is great information for people who are looking for wedding catering services. Great job done! The best way to select a catering service. You can ask your friends or acquaintances for a reference.